The Granit™ 1910i industrial-grade area-imaging scanner is designed to withstand the varied demands that exist in harsh working environments. Featuring a custom-built housing that is redefining the standard for scanner reliability, the IP65-rated Granit 1910i scanner is built to survive 5,000 1 m (3.3 ft) tumbles and 50 drops to concrete from 2 m (6.5 ft), even at -30°C (-22°F). As a result, businesses deploying this industry-leading offering can expect to experience minimal device downtime and a lower overall cost of ownership. Powered by sixth-generation Honeywell Adaptus™ imaging technology and its revolutionary decoding architecture, the Granit 1910i scanner provides users with the same exceptional barcode reading performance as the best-in-class Xenon™ series of area-imaging scanners. 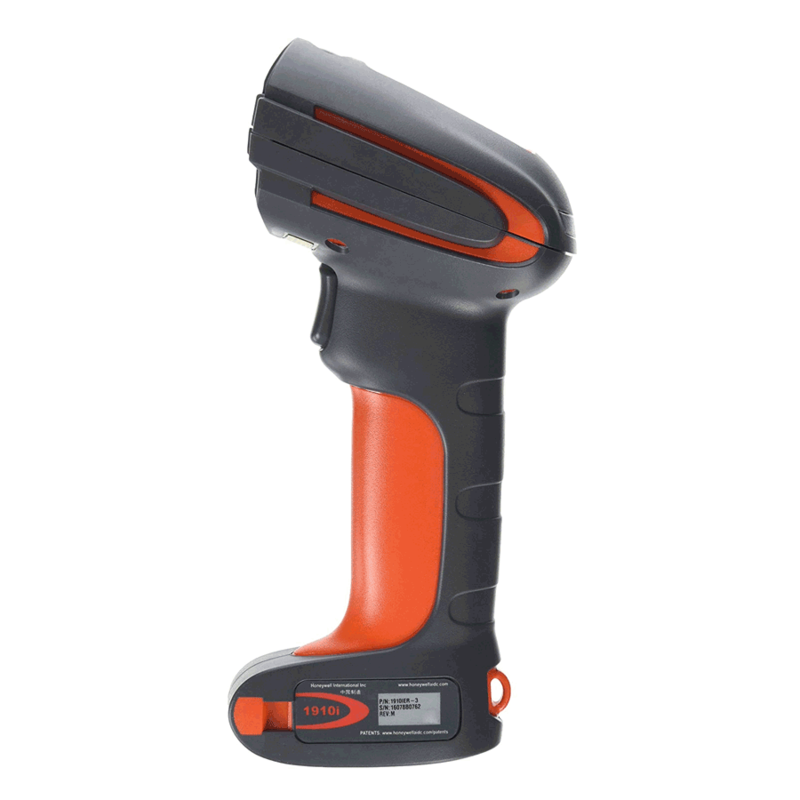 From poorly printed and damaged codes to low-density linear codes, the Granit 1910i scanner is built to read virtually all barcodes with ease – supporting maximum operator productivity with its enhanced illumination, crisp laser aiming and extended depth of field. The custom-built IP65-rated housing is able to withstand 5,000 1 m (3.3 ft) tumbles and survive 50 drops from 2 m (6.5 ft) at -30°C (-22°F), reducing service costs and increasing device uptime. Adaptus 6.0 imaging technology provides aggressive barcode reading and unrivaled accuracy, while the scanner feedback is enhanced for use in extreme industrial environments. The TotalFreedom™ area-imaging development platform enables the loading and linking of multiple applications to enhance image decoding, data formatting and image processing – eliminating the need for host system modifications. With outstanding performance on poor-quality and damaged barcodes, the scanner helps users maintain productivity by providing a worry-free scanning solution that minimizes manual entry. Scans out-of-reach items with ease and allows users to scan 20 mil linear codes out to 75 cm (29.5 in) without sacrificing performance on 2D codes.